October « 2009 « Geekorner-Geekulture. RahXephon; the Oppression of Sound. 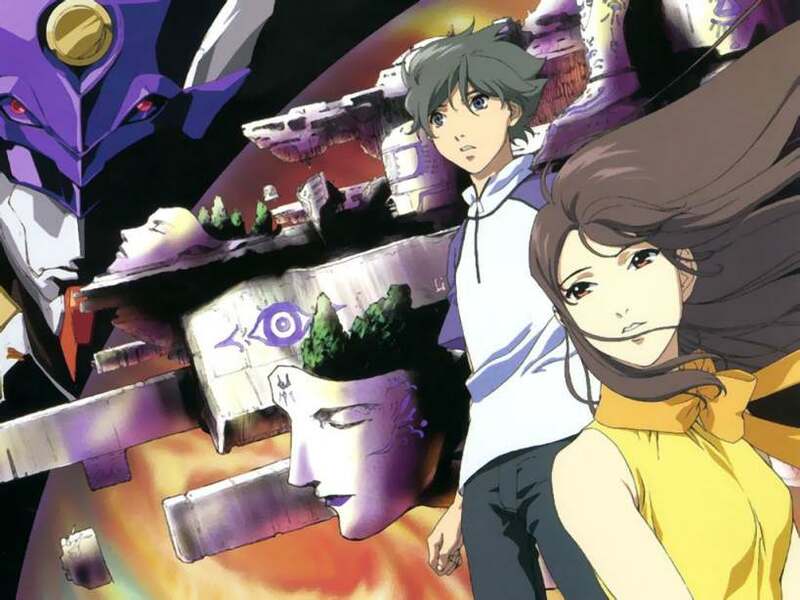 RahXephon is an anime from 2002 which has some things going for it, and also some things going against it, mainly the required comparison to Neon Genesis Evangelion. Another aspect of the series that will require mention and discussion is the use of sound and music in the series, which quite overpowers the series in its beginning, but thankfully its part and vehemence grows smaller as it goes on. This is a “Things I Like” post, and as such, it’s not a review per-se, but my thoughts on the series. Spoilers should come as no surprise, this post will have moderate amount of spoilers. Surprisingly little, if you ask me. This is the weekly Figure Friday post, covering the figures released, announced and such during the past week. There will be the best figures of the week and the worst, as well as news, delays, releases and re-stocks. As always, click on the first picture to go to a site with more information on the figures, and the pictures after the description for the Flickr page (you must be logged in, due to some photos in the set being R18), where bigger photos can be had. As always, post is NOT entirely safe for work, be advised. I’m growing rather fond of Orchid Seed. Really like this figure’s garters, and her face is nice, the skirt has some dynamism. It’s not a great figure from any perspective, except how she’s dressed under the skirt, and yet, the gestalt is bigger than each of the individual components. Her skirt does reach a bit too high for me, waist-line wise. For those who dislike over-brown figures, at least the shock of red hair and the powder-blue wrist-ribbons offset it. January 2010, 220mm, 7,429 yen. Reserve. Follow the “More” tag for more figures! [Updated] Holy Flaming Computers, Batman! Here is a friendly suggestion to you all, something which I’ve known and didn’t act fully upon, against my better judgment: When you can hear one of your computer’s fans make noise, call your nearest hardware store, get a replacement fan, and either pay them to change it for you or ask a friend who knows what they’re doing (alternately, look it up online and become the person who knows what they are doing). Figure Friday Addendum – October 2nd-15th. As promised in the main post, this post will cover the amazingly large number of news, re-stocks, delays and such that had occured within the span of the two weeks from the 2nd of October to the 15th. MegaHouse’s Mega Hobby Expo 2009 autumn. I really liked the Gintama pucchi school setup, which sometimes appears in the series. Tokyo Game Show 2009. Slightly too many figures from Square Enix of the upcoming FF XIII action figures, but I like the angel-winged girl and the samurai armour next to her. Dengeki Character Festival 2009, wherein the Dengeki magazine characters are shown. In part 1, we see many cute nendoroids, Black Rock Shooter with her cape off, and other neat figures recently announced. Part 2 seems to have many HoiHoi based Plamos, some anime-painted cars, and some art, for the most part. Read on to discover why this picture of my cat is here! More news, restocks, etc. after the “More” tag! Figure Friday – October 2nd-15th. This is the weekly Figure Friday post, covering the figures released, announced and such during the past two weeks. There will be the best figures of the week and the worst, as well as news, delays, releases and re-stocks. In personal news, felt crummy yesterday, thus no post, and tomorrow I’m beginning the final year of my B.A.! Best figma ever. The joints are not too noticeable behind the skirt, poseable, good quality looking. GREAT faces, and the drunk face is so priceless. It’s a minor hassle to obtain; while not a limited edition, you have to order it from one of several stores that will sell it exclusively, so you’ll have to use some sort of deputy service, but it’s not a limited release, at least. January 2010, 140mm, 2,800 yen with tax. Get her from NicoNico where you can also get the Reimu and Marisa nendoroids. Direct Reimu figma link. Follow the “more” tag to see the rest of the figures, again, not all safe for work.